Product prices and availability are accurate as of 2019-04-19 05:45:28 UTC and are subject to change. Any price and availability information displayed on http://www.amazon.com/ at the time of purchase will apply to the purchase of this product. 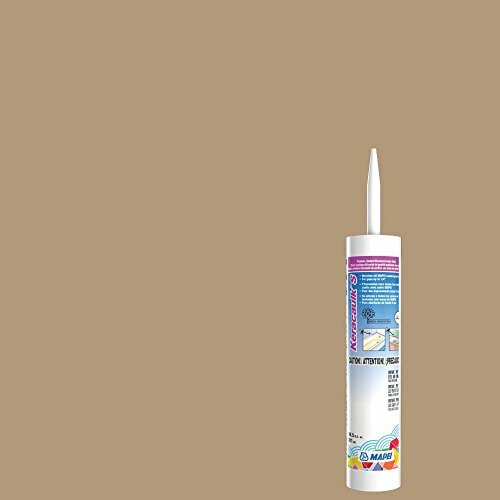 Premium, sanded Siliconized Acrylic Caulk Keracaulk S is a premium-grade, easy-to-use, easy-to-clean, siliconized, sanded acrylic caulk formulated to match all of MAPEI's grout colors. Joint Size - Aprx. Coverage 1/16" (1,5 mm) 48 to 50 lin. ft. 1/8" (3 mm) 24 to 25 lin. ft. 3/16" (4,5 mm) 15 to 17 lin. ft. 1/4" (6 mm) 11 to 13 lin. ft.